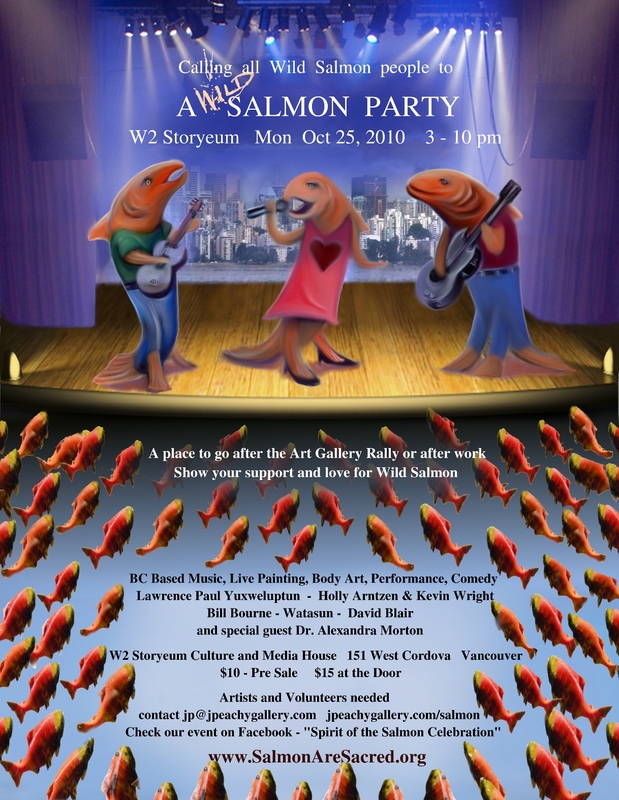 In honour of our Wild Salmon and the celebrated return of Sockeye and all spawning Salmon; we make a call to join in the cause to ensure that we have this precious resource for generations. 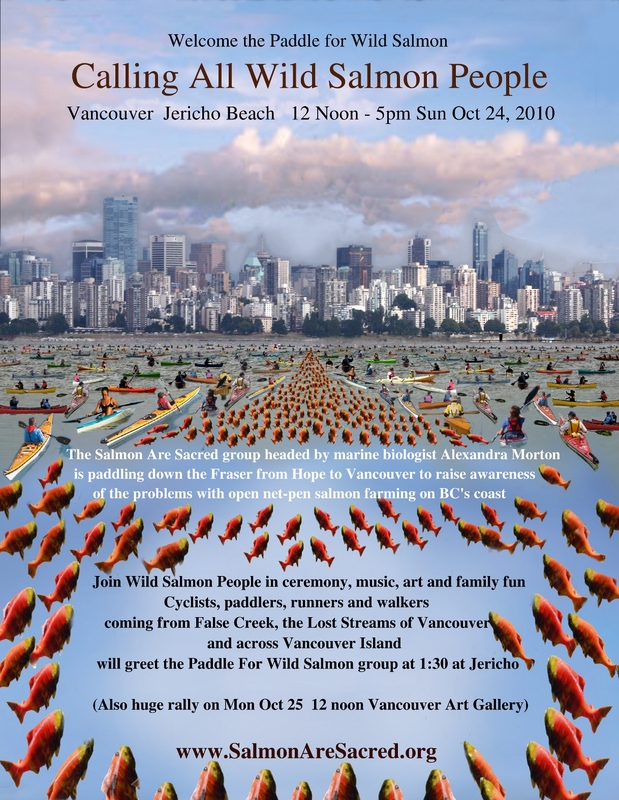 Wild Salmon Warrior Arts Festival – Musqueam First Nation, Saturday December 8th. 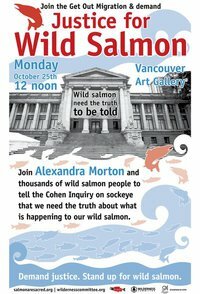 Calling the Wild Salmon People – Vancouver 25th Vancouver be there to support Justice Cohen in his pursuit of Justice for Wild Salmon. If we don’t show up it will just be another failed government investigation. 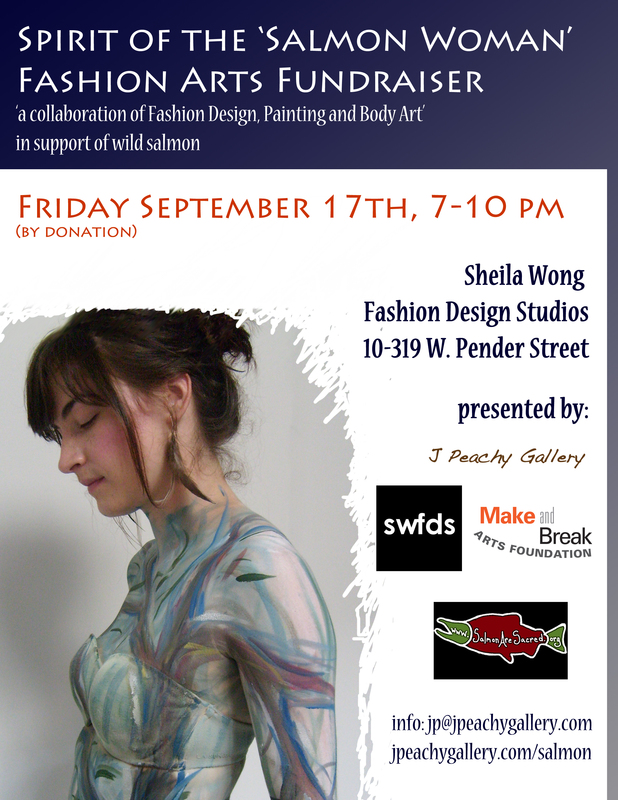 Featuring Alexandra Morton, Music, Live Painting, Performance and Storytelling. Musical Guests, Holly Arntzen & Kevin Wright, David Blair, Watasun, Rick Buckman Coe, Melanie Rose, Ryan Fletcher, Monique Hurteau. Featuring Dr. Alexandra Morton, Holly Arntzen and Kevin Wright & the Dream Band.